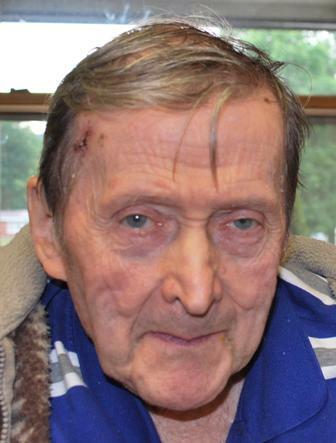 Richard R. Studd, age 86, of 353 Front Avenue, Salamanca, New York died Tuesday evening, May 5, 2015 at The Absolut of Salamanca, New York following a short illness. Born August 21, 1928 in Buffalo, New York, he was the son of the late Irving and Ethel Wilder Studd. He was married on August 7, 1950 in Buffalo, New York to the former Ruth E. Kleinschmidt, who survives. Richard had been employed as a Social Worker with the Cattaraugus County Dept. of Social Services for 30years retiring in 1997. He was a member of the Kingdom Hall of Jehovah’s Witnesses in Salamanca, New York. He was an avid sports fan and enjoyed reading. Surviving besides his wife are: two daughters, Rachel L. Ellis, Salamanca, New York, Regina R. Padden, West Almond, New York; two sons, Roger A. (Natividad) Studd, Salamanca, NY, Ronald J. (Anne) Studd, Bear, Delaware; ten grandchildren; eight great-grandchildren; several nieces and nephews. He was predeceased by a brother, Howard Studd. Memorial visitation will be held at the O’Rourke & O’Rourke Inc Funeral Home, 25 River Street, Salamanca, New York on Friday, May 8, 2015 from 6 – 9 p.m.
Funeral services will be held at the Kingdom Hall of Jehovah’s Witnesses in Salamanca, New York on Saturday at 1 p.m. with Peter Haig officiating. Burial will be in South Wales Cemetery, South Wales, New York.